A beautiful, classic piece to treasure! 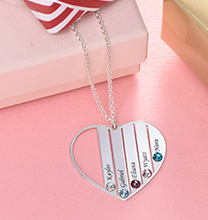 Our Heart Necklace in Silver makes a lovely statement, whether it’s shared as a way to celebrate romance, motherhood, or the special bond between a grandmother and her grandchildren. 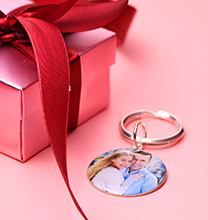 Truly versatile with lots of beautiful touches that make it one of a kind, this piece looks lovely with all of her favourite styles while serving as a sweet reminder of love’s unbreakable bond. 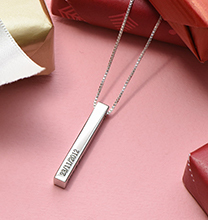 This custom engraved necklace makes the ideal gift for Valentine’s Day or an anniversary – it’s a wonderful Mother’s Day gift, as well! The classic heart-shaped pendant offers a soft, appealing gleam. You may engrave anything you like on the front; simply fill out the form to order. If you’d like to add an additional inscription to the back, you may do so. 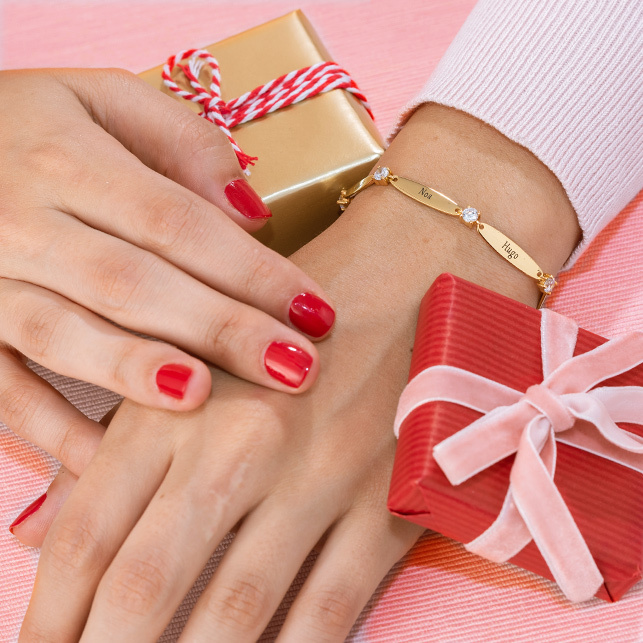 Either way, your message will be clear – and the wearer will certainly appreciate your thoughtfulness! 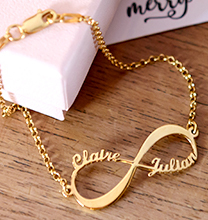 Once you decide how you’d like to personalise the pendant, our skilled artisans will carefully inscribe the message you’ve chosen, creating a beautiful necklace that’s truly one of a kind. 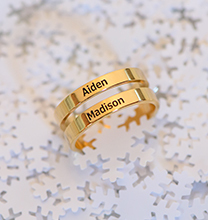 Whether you choose to add initials, names, a meaningful date, or a few sentimental words, the finished piece will be one to cherish for years to come! This beautiful necklace is made with 0.925 Sterling Silver. The pendant dangles from a matching Sterling Silver Rolo Chain. You’ll find more heart jewellery to celebrate your love in our collection, including this custom style in your choice of 18ct Gold Plated or 18ct Rose Gold Plated.